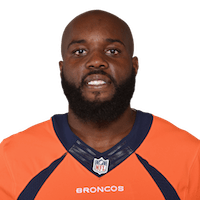 Published: Dec. 9, 2018 at 06:52 p.m.
Denver Broncos safety Darian Stewart intercepts a tipped pass from San Francisco 49ers quarterback Nick Mullens. Published: Nov. 25, 2018 at 06:58 p.m. The Denver Broncos recover Pittsburgh Steelers running back James Conner's popcorn fumble. Published: Oct. 14, 2018 at 06:39 p.m.
Denver Broncos safety Darian Stewart intercepts Los Angeles Rams quarterback Jared Goff after a pass deflection. Published: Dec. 31, 2017 at 04:54 p.m.